Having graduated from Voroshylovhrad Taras Shevchenko State Pedagogical Institute in 1981, Serhii Viktorovych worked as a teacher at secondary school No. 15. From 1981 to 1983 he was doing military service at Soviet Army. From 1983 to 1985 he was working at different posts in district committee, city committee and region committee. In 1986 Serhii Viktorovych started his work at Voroshylovhrad Taras Shevchenko Pedagogical Institute. From 1987 to 1990 – postgraduate training program at Research Institute of Theory and Methods of Education. From 1990 to 1996 he was working as a senior lecturer at the Department of Pedagogy and Methods of Educational Work at Luhansk Taras Shevchenko Pedagogical Institute. Since 1994 – Deputy Dean of the Department of History. 1995 – assigning of academic title of docent. From 1996 to 1999 – work at Head Department of Education of Luhansk Regional State Administration. 1999 – 2002 – doctoral student of Luhansk Taras Shevchenko State Pedagogical University. Having finished doctoral program, he was working at Luhansk Taras Shevchenko State Pedagogical University as an associated professor at the Department of Social Pedagogy and Social Work. From 2003 – Head of the Department of Pedagogy. In 2005 Serhii Viktorovych was assigning academic degree of Doctor of Pedagogical Sciences and academic title of Professor. From December 2005 – Acting First Pro-Rector. From January 2006 – the First Pro-Rector of Luhansk Taras Shevchenko National Pedagogical University. From May 2006 – Acting Rector. From June 2010 to November 2012 – Rector of the university. 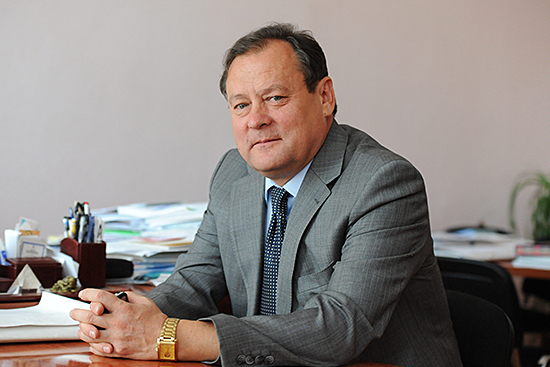 From November 2012 to November 2014 – the First Pro-Rector of the university. Since November 2014 – Acting Rector. Honorary title “Honorary Educator of Ukraine”. Honorary certificate of executive committee of Luhansk City Council. During education at Luhansk Taras Shevchenko State Pedagogical Institute and after graduation in 1997Dmytro Viktorovych was working as a teacher at the secondary school No. 26 (Luhansk), assistant at the Department of Philological Disciplines of this university, finished postgraduate training program. In 2000 he defended candidate thesis “Ethnocultural Light of Semantics of Ukrainian Zoo-Phraseological Units” in specialty 10.02.01 – Ukrainian Language. Since 2001 – Head od the Department of Philological Disciplines of Luhansk Taras Shevchenko State Pedagogical University. In 2002 the academic title of docent was assigned. From 2006 – doctoral student. Since 2008 – Pro-Rector for Scientific and Pedagogical Work. Honorary Certificate of the Ministry of Education and Science of Ukraine. From 1974 to 1979 Oleksandr Ivanovych was studying at the Historical Faculty of Luhansk Taras Shevchenko State Pedagogical University. Taras Shevchenko State Pedagogical Institute. 1978 – 1984 – the Head of Trade Union Committee of Students of LSPI. 1984 – 1992 – assistant, senior lecturer, associated professor at the Department of History. In 1991 he defended candidate thesis at Taras Shevchenko State University of Kyiv. 1992 – 1997 – the Head of Trade Union Organization of teachers of Voroshylovhrad Taras Shevchenko State Pedagogical Institute. 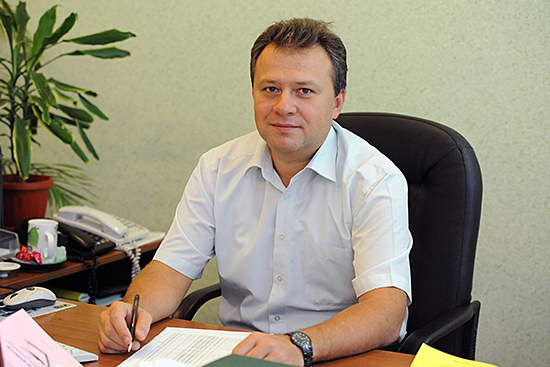 1997 – 2004 – Pro-Rector for Educative Work and Socio-Economical Issues of Luhansk Taras Shevchenko National University. Since 2004 till present time – Pro-Rector for Scientific and Pedagogical Work. Honorary title “Expert of Education”. Badge of honor “For Merit to Luhanshchyna”. Honorary Certificate of Luhansk Regional State Administration and Luhansk Regional Council. Aknowledgement of the Ministry of Family, Youth and Sport of Ukraine. Acknowledgement of Department of Education and Science of Luhansk Regional State Administration. Pro-Rector for Scientific and Pedagogical Work, Doctor of Engineering Sciences, Professor, Honoured Master of Sciences and Engineering of Ukraine. In 1976 Oleksandr Serhiiovych graduated with honour from Komunarsk Ore Mining and Smelting Institute (Donbas State Technical University now) with a specialization in “Electrification and Automation of Mining Works”. From May 1977 he was working as research assistant at the Department of Automation for Processes of Coal Beneficiation. In November 1987 he defended candidate thesis at the Institute of Cybernetics of AS USSR. 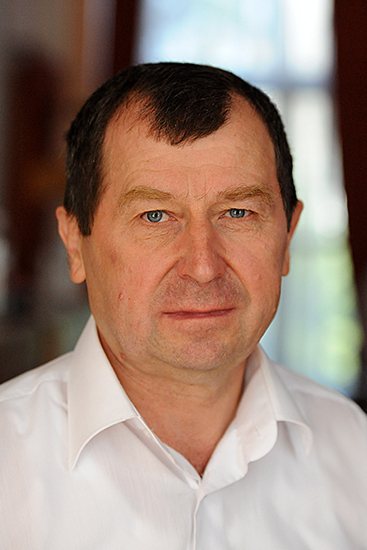 Since 1989 he has been working at Luhansk Taras Shevchenko National University: assistant, senior lecturer and since 1991 – as the Head of Department of Computer Sciences and Computing. 2002 – 2004 – Pro-Rector on Information Technologies. In May 2007 he defended doctoral thesis at the International Research Center for Information Technologies and Systems (the City of Kyiv). Today he is Pro-Rector for Scientific and Pedagogical Work, Professor at the Department of Information Technologies and Systems of Luhansk Taras Shevchenko National University. Certificate of Luhansk Regional State Administration. In 1985 Tetiana Fedorivna graduated from Economical Faculty of Voroshylovhrad Machine-Building Institute in specialty “Accounting and Analysis of Business Activities”. She started her working career as an accountant at Luhansk Car Assembly Plant. 1981 – 1993 – economist at Luhansk Branch of the Institute of Industry of AS USSR. 1993 – 1998 – chief inspector of Auditing Department in Luhansk. 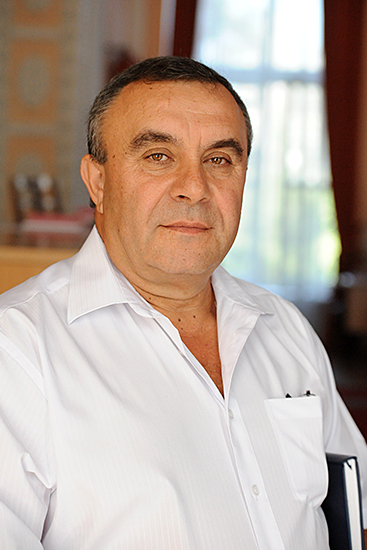 Since 1998 – Chief Accountant of Luhansk Taras Shevchenko National University. During this period accounting staff was expanded with new skilled employees and the major part of accounting department was computerized.